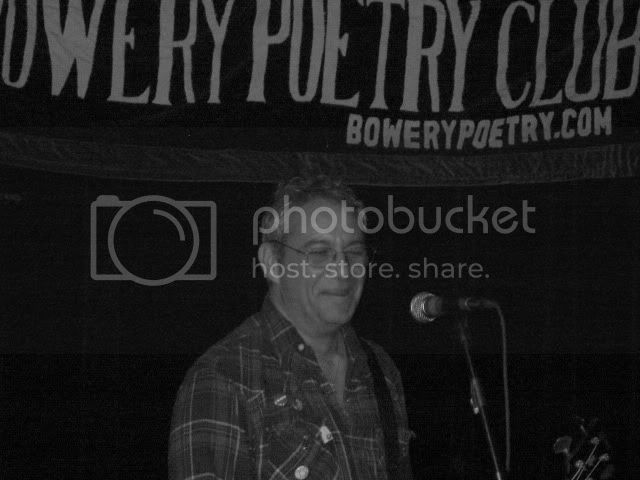 Last Saturday at Bowery Poetry Club, the celebration of the 25th Anniversary of the Minutemen’s masterpiece Double Nickels on the Dime was a mixed affair of music, spoken word and storytelling. The highlights of the evening were the three excellent bands, all of whom offered their own versions of Minutemen songs with musical dexterity and enthusiasm, and the special guest finale — the appearance of Mike Watt who was genuinely profoundly moved by the spirit of the event. Watt performed three solo numbers on bass and vocals, and then spoke for approximately twenty minutes. While he read portions of Minutemen lyrics, the complex mix of humor, passion and enthusiasm in the words often overwhelmed him. Although its been nearly 25 years since the tragic death of his best friend D. Boon, the event must have brought back vivid memories. Watt’s hesitant and sometimes-overwhelmed manner during his spoken word indicated the depth and poignancy of the moment. Nevertheless, when the event was over Watt sat on a bench outside the venue and met and greeted fans for a lengthy period of time. His unselfish and gregarious approach towards the fans speaks well for the legacy of the Minutemen and their 25-years-removed masterpiece Double Nickels on the Dime. The existence of three bands, one each from Pennsylvania, Massachusetts and New Jersey, prepared to travel these distances to perform brief sets of Minutemen music in tribute at this event also speaks well for the influence of the Minutemen. Corndogs offered an energetic and authentic approach to the material, while Tweede Kamer provided intelligence and musical proficiency — particularly the outstanding fret work of their talented bass player. The last of the three bands, Pillow Man from Worcester MA, were striking in their resemblance to the Minutemen, as each member of the band actually looked like their counterpart and the song performances were quite faithful to the original material. We recorded from very close to the main PA, about 15 feet from the stage. As Bowery Poetry is a small venue with a bar, we attempted to avoid the ambient noise — the bar, its patrons, the air ducts and the sound of a club upstairs. During the musical performance, we were completely successful, but during the spoken word pieces (particularly during off-mic moments) the venue noise is quite distracting. As a result, this post offers only the musical performances, each of which is an absolutely outstanding capture. Enjoy! 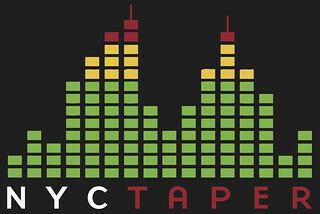 If you email nyctaper for access to this recording, we expect that you will PLEASE SUPPORT these bands, visit their websites, Mike Watt, Tweede Kamer, Pillow Man, and Corndogs, and purchase their official releases where available.